On November 12, officials acting on a court order closed ten businesses in Ahwaz that were run by Bahais. Some of them were also closed down by officials last year, and later allowed to reopen. Iran Press Watch, July 15, 2017. Indifferent to a recent verdict of the Administrative Bureau of Justice, the shops and businesses of at least 11 Bahais who closed their businesses in observance of a religious holiday (between the 8th and 10th of July) were closed and sealed by authorities in the city of Ahvaz. According to the law, citizens are permitted to close their place of business for up to 15 days a year without any particular or specified reason. However this law doesn’t seem to apply to Bahai citizens. Whenever Bahais close their businesses in observance of their religious holidays in which work should be suspended, authorities are quick to move in and seal the businesses. Rostam Derakhshan (رستم درخشان), Sam Derakhshan (سام درخشان), Sohrab Firouzmandi (سهراب فیروزمندی), Khosrou Zohdi (خسرو زهدی), Vargha Derakhshan (ورقا درخشان), Sohrab Derakhshan (سهراب درخشان), Farzad Afshar (فرزاد افشار), Farshid Afshar (فرشید افشار), Jamshid Najafi (جمشید نجفی), Feyzollah Qanvatiyan (فیض الله قنواتیان) and Kianoush Afshar (کیانوش افشار) were among the citizens whose businesses were sealed. The law states that a business owner is allowed to closed their business for up to 15 days a year without any particular or specified reason. Recently the Administrative Bureau of Justice issued a verdict in favor of the Bahai citizens of Mazandaran, whose businesses had been closed in similar manner, stating that the legal right of these citizens to close their business for up to 15 days a year without any specific reason had been ignored. Bahai News (Persian), June 2016. Shamim Ruhani (شمیم روحانی), a Bahai prisoner of conscience from Ahvaz (a city in Khuzestan Province, in the Iranian part of the delta of the Tigris and Euphrates), has been granted a 5-day prison furlough after posting a bond of 50 million tumans (14,400 euros; $US 16,400). January 11, 2015. This means that he has already completed his sentence: it appears that he has five days’ grace to leave the Province on internal exile. It is not usual to demand a bond for prisoners on furlough (at least, I have never seen it reported). In other cases where a Bahai prisoner is sent into exile, the authorities have simply dumped him beside the road at the Provincial boundary on the last day of imprisonment. Bahai News (Persian, Facebook), January 11, 2015. Shamim Ruhani ( شمیم روحانی ), a Bahai from Ahvaz (a city in Khuzestan Province, in the Iranian part of the delta of the Tigris and Euphrates), has been taken to prison to begin his sentence. He was arrested by agents from the Ministry of Intelligence on November 5, 2013, along with a number of Bahais who were present in his home. The agents seized his religious books, documents, personal effects, mobile telephone and computer. All the detainees except for Mr. Ruhani were released three days later. Mr. Ruhani was held for several months before being released on bail. 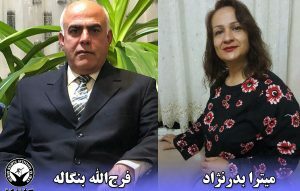 He was charged with propaganda against the regime and membership in Bahai organisations, and sentenced to one year in prison followed by banishment from the Province of Khuzestan for two years. 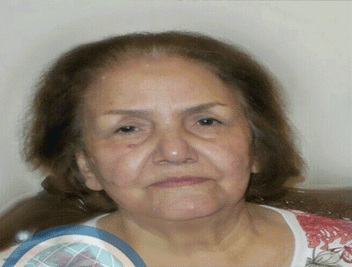 Shamim Ruhani ( شمیم روحانی ), a Bahai from Ahvaz (a city in the delta of the Tigris and Euphrates), has been sentenced to one year in prison followed by banishment from the province of Khuzestan. He was charged with propaganda against the regime and membership in Bahai organisations. The sentence does not specify for how long he is banished from his home province. He was arrested by agents from the Ministry of Intelligence on November 5, 2013, along with a number of Bahais who were present in his home. All the detainees except for Mr. Ruhani were released three days later. Mr. Ruhani was held for several months before being released on bail. On November 5 agents from the Ministry of Intelligence in Ahvaz searched the home of Shamim Ruhani ( شمیم روحانی ) and seized religious books, personal documents, a mobile telephone and a computer. They took Mr. Ruhani and a number of Bahais who were present in his home away. 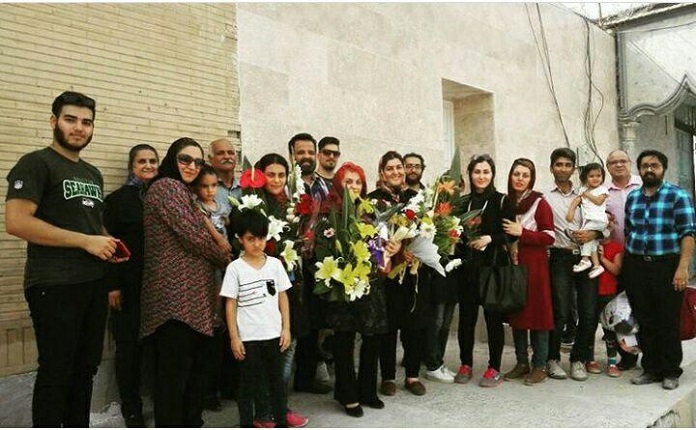 All the detainees except for Mr. Ruhani were released on November 8. More than three weeks have passed, but it is still not known where Mr. Ruhani is being held, or why he was arrested. Despite the efforts of his wife Mina Ruhani-Karimi (مینا روحانی – کریمی) to find out how he is, there has been no news, no telephone contact and no meeting with his family. At one time she was told he would be released on bail, but when she returned she was told the judge had denied bail.